With the release of the iPhone 5 largely expected to be in early September, more and more concepts and leaks are predictably appearing all over the internet. The guys over at MacRumors have released some high-quality 3D renders of the next-gen iPhone based around the leaked cases and case designs during the course of last month. While it is just a rumored design based on alleged case specifications, the 3D images that MacRumors had CiccareseDesign create are certainly an eye-opener. 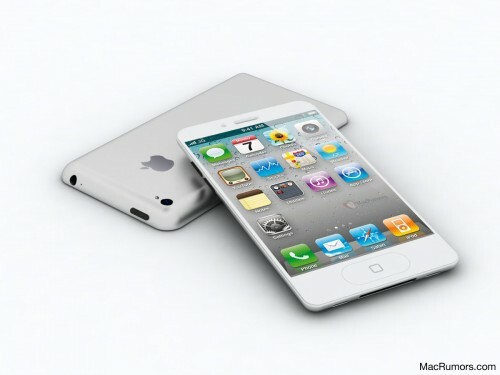 The design takes into account many of the rumored cosmetics which will supposedly make up the iPhone 5. Very similarly to the purported schematics leaks, it shows that curved back – a notion that has stuck around for a while now – making it a very probable part of the end-product. For a long time, it was assumed that the iPhone 5 would be more of an iPhone 4 mark II, with some hardware improvements and maybe some minor design adjustments. 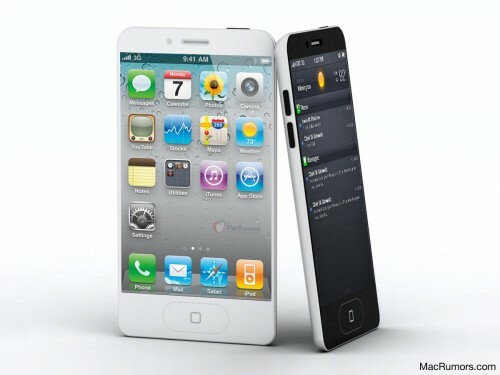 But now, it is firmly believed that there will be a brand-new, all-singing all-dancing iPhone 5. Here, we can see that the designer has taken on board the oval-shaped hole on the front of leaked case design. It is thought that the button will be augmented to accommodate touch gestures, removing the current circular home button and giving the whole interface a more slick and streamlined feel. According to MacRumors, the exact size of the screen wasn’t easily ascertainable from the designs. It is thought that the screen size will be increased, which will also certainly equate to a higher resolution. A 4-inch screen is portrayed here, half an inch larger than the iPhone 4’s Retina Display. With iOS 5 utilizing a swipe down activation method as part of it’s revamped notifications structure, it would seem logical to add little extra finger-space. From behind, the tapered-edge looks similar to the iPad 2, and gives the device a very iPod touch-like look. The dimensions are: 4.33" x 2.36" and .27" thickness at the top and .21", while the current iPhone 4 measures up at 4.5" x 2.31" x .37". So whilst it is a tad shorter than the iPhone 4, it is thinner and wider than it’s would-be predecessor. If the leaked case designs are indeed accurate, this gives us a good visual of what we may be seeing come the release date. This is not the first, and will certainly not be the last image which will claim to be what the iPhone 5 will look like, so we may yet see a few more twists before we get an official announcement sometime in the coming month or so.